If there’s one thing repeated Kickstarter successes have proven, it’s that board gamers love little plastic miniatures. And if there’s one thing they love more than little plastic miniatures, it’s bigger plastic miniatures. Fantasy Flight’s Star Wars: Armada has made its money appealing specifically to that sentiment, with the quality and scale of its model starships making them as fun to just own and have sitting around as they are to actually play with. Until now, Armada’s biggest ships had been the Imperial Star Destroyer and Mon Calamari Cruiser, both enormous hunks of plastic that cost as much as full games in their own right. They’re about to be dwarfed, though, by the release of the Executor, the Super Star Destroyer made famous in Episodes IV & V (and Lucasarts’ X-Wing games). It’s big. 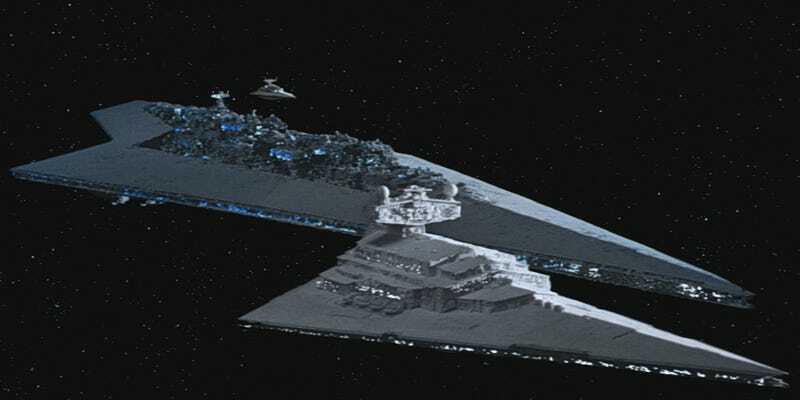 So big that its base is made up of two Star Destroyer bases, and it needs six firing arcs, not the standard four. So big that the cheapest you can get one for is 220 command points, which is over half the allowance for your entire fleet (maybe a points bump is coming alongside this?). So big that Emperor Palpatine himself is available to command it, and he costs 35 points on his own. The SSD is out in early 2019, and will cost $199.